New – published by Forest Town Heritage Group September 2013, 156 pages including illustration, maps etc. The book - looks at a poignant part of our history – the first World War 1914 -18. It was a war that altered the lives of many people as it extended from the anticipated few months into four years. The camp and the integration of thousands of soldiers into the area brought additional spending power into the locality and quick thinking entrepreneurs took advantage of this. The social implications of the camp were many. Local people and organisations became involved in the moral welfare of the soldiers. Alternatively the moral welfare of young girls was a concern and ‘some ladies’ were banned from the vicinity of the camp. 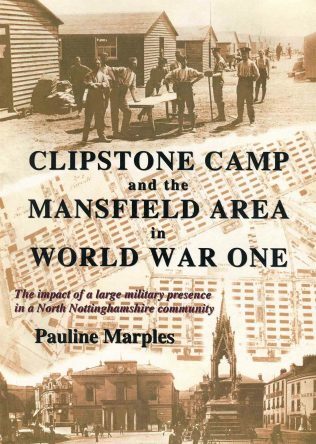 Introduction, Recruitment, Clipstone Camp, Camp Life, The Social Impact of the Camp, Mansfield And The Reaction To War, The Local Women’s War, Women In Uniform, The Closing Years, Remembrance. The book price £10 can be purchased by visiting Mansfield Museum and other local venues. SPECIAL OFFER, there a few copies of this book still remaining and it has now been reduced to £5. 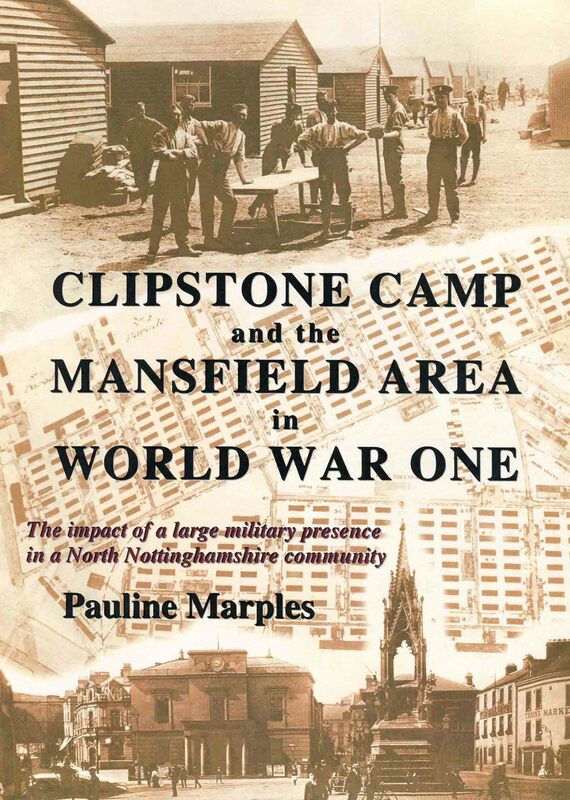 It is available at Mansfield Museum or by post from Forest Town Heritage Group at the above address. For people who live in the Retford area this book is now available at ‘The Bookworm’, Spa Lane, East Retford.